ŞIRKET HAKKINDA AÇIKLAMALAR: Euromachinetools srl is located near Brescia (ITALY) in an industrial area serviced by airport and motorway. 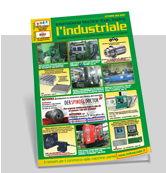 Since then it has been working in the sector of machine tools: we retrofit and trade new and second-hand machines. Our founder had a seventy-years experience in this sector, then, since 1987 the management has been directed by Mr. Paolo and Luigi Zanotti who have updated and widened the company. The company disposes of a 10000 sqm stock and specialized staff. We employ technicians to check the machines arriving in our stock. Some of them are from East Europe countries and allow us to control the conditions of the machines coming from that geographical area. The experience we have gained covers also the process of dealing medium and big machines. Our partners specialized in transport and logistic allow to offer our prodocts all over the world at convenient time and cost. Our business has been increasing day by day and we have traded both in Italy and abroad through a self operating import-export department. In particular, we have enlarged the number of employees to create an export office. The company is specialized in the commerce of boring machines, bed milling machines, lathes, drilling machines, machining centres, grinding machines, punching machines and other particular machinery.